Is nasal surgery a solution for sleep apnea? Home | Sleep Apnea | Is nasal surgery a solution for sleep apnea? Posted September 24, 2015 by Dr. Kezirian & filed under Sleep Apnea, Surgery. 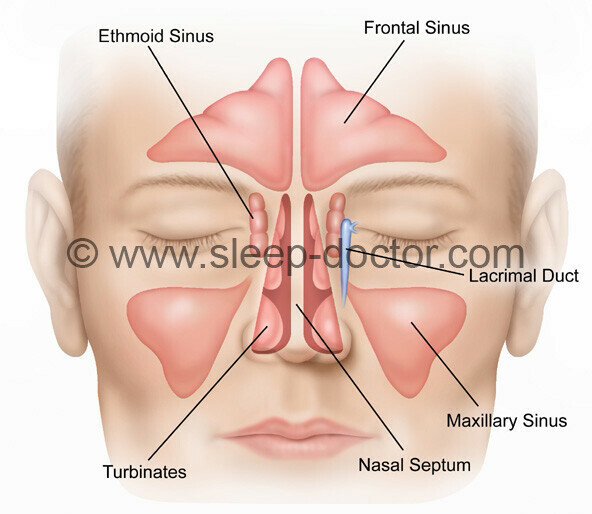 Surgical treatment of obstructive sleep apnea depends on determining where blockage of breathing is occurring during sleep, whether in the Nasal, Palate, or Tongue Regions that I outline on my main website: sleep-doctor.com. Often an individual will have more than one of these Regions involved, leading to my recommendation of a combination of surgical procedures. One of the most common questions I receive is whether a more-limited approach would be successful in treating sleep apnea, particularly surgery focused only on the nose. Why should someone with sleep apnea consider nasal surgery? There are many studies showing that nasal surgery–whether of the nasal septum, turbinates, sinuses, or the outside of the nose–can improve nasal obstruction and other related problems. In addition, improving nasal obstruction is one of the few things that has been shown to improve results of treatment with positive airway pressure therapy, and my experience is that it can do the same for oral appliances. So what about nasal surgery as treatment of sleep apnea by itself? Likewise, there are many studies evaluating the impact of nasal surgery by itself in the treatment of sleep apnea. However, many of the studies are fairly small, leading to challenges in drawing clear conclusions. This type of research evidence lends itself well to the technique of meta-analysis, the scientific combination of results of many studies into one larger study. The September 2015 issue of Otolaryngology–Head and Neck Surgery includes a published meta-analysis on this topic. In short, the study showed that nasal surgery can improve important symptoms such as sleepiness and a measure of sleep apnea called the respiratory disturbance index (capturing incomplete blockage of breathing that is enough to wake up someone from sleep) but does not generally achieve a significant improvement in the apnea-hypopnea index that measures more-substantial blockage of breathing. For anyone interested in hearing more, the journal has posted a podcast concerning the meta-analysis and the perspectives from Dr. Lisa Ishii (lead author) and me. However, I have no crystal ball. Based on a personalized approach to shared decisionmaking with patients, even when the chances of clearing up sleep apnea are low, sometimes I will treat nasal breathing as a first step and reevaluate before proceeding with additional procedures. Sometimes we are all surprised by how much benefit we see after nasal surgery.